These coarse Japanese breadcrumbs are used for coating and frying foods. 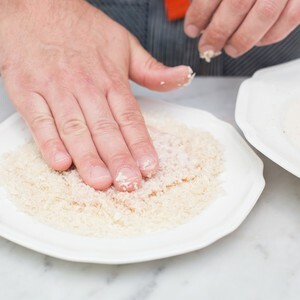 These breadcrumbs are great for frying and baking proteins and vegetables, and their unique texture gives food a light, airy mouthfeel. The traditional heaviness of fried food gives way to cloudy crispness when panko crumbs are used. Learn more about panko here on our blog!